For those who follow us at Long Range Hustle, we’re a diverse band of musicians and people from interesting backgrounds. Until I joined LRH I never really listened to “indie” music. I grew up with a core of the Beatles, Billy Joel, Elton John, Elvis, The Guess Who and Queen. These are the artists who formed my understanding of music from a very young age. Since university I immersed myself in classical, jazz and world music. Then in my second year of university the boys, from the then drummer-less LRH, slowly introduced me to indie-rock. I resisted in the beginning, but over time how could I refuse. Indie-Rock is only the natural progression of musical fusion between genres. Indie-Rock contains all the elements of music that nurtured my artistic upbringing, and challenges the boundaries of genres between rock, folk, classical, jazz and world music. Somehow artists are able to draw on these elements producing captivating, and mesmerizing melodies that transform your understanding and expectations. 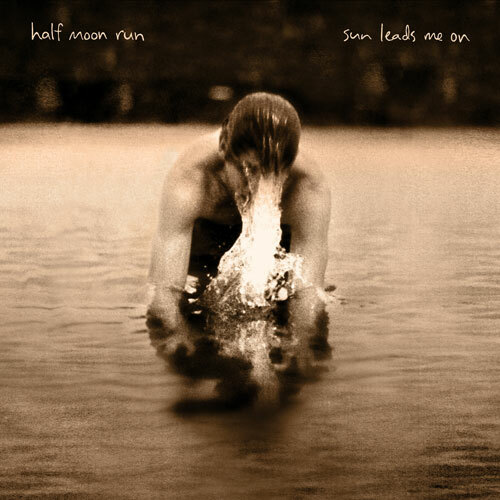 Half Moon Run is one of these indie groups that, with their newest album, has transformed not only my understanding of “indie” music, but my expectations. I remember hearing their first album ”Dark Eyes” on a drive out to Waterloo. It was dark, dramatic, and rhythmically driven. The unique vocal harmonies in combination with the ominous instrumentals captured any listener. “Sun Leads Me On”, is very different from “Dark Eyes” in the best way possible. It includes the darkness and drama of “Dark Eyes” while introducing you to other sides of HMR. This 13-song album has so many obvious heavy hitter songs as well as hidden gems. One top track goes without saying: “Sun Leads Me On”. The title track is reminiscent of their premiere album; a smooth ballad with grand harmonies. Their single “Turn Your Love” grabs and shakes you till the very end. It’s gritty, it’s electric, it’s dark and heavy. As a drummer it’s exactly what makes me groove. Hidden gems like “Consider Yourself” sonically reference “Arcade Fire” and “Radiohead” and is another perfect example of HMR’s ability to drive. Overall I find the variety in this album very attractive. From the 60’s retro tunes, driving rock, and campfire folk found in “Devil May Care”, the album is a Jackson Pollock of variation and unrestricted cross genre creativity. Without commenting song to song, this album also sticks out because of this versatility and cross genre variety. HMR’s songs range in style and feel, creating an interesting album. Personally, I think albums that present a multitude of styles showcase the bands musicianship, versatility and engages the listener throughout the changes, while unifying the album using the band’s over-arching sound and songwriting. “Sun Leads Me On” was my top pick of 2015 because it completely shattered my expectations.